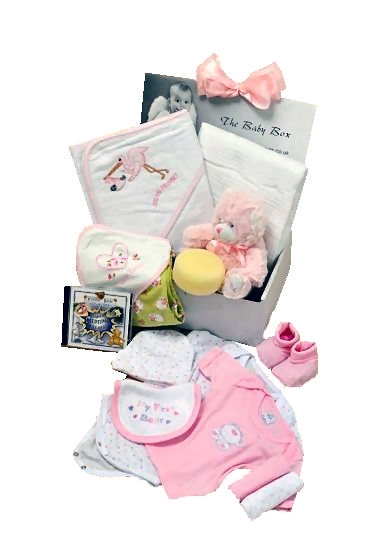 This new baby gift box is the ultimate baby shower gift. It contains a soft cotton hooded towel for the new arrival to snuggle into after a bath, a super soft fluffy blanket, a lovely cream coloured cotton shawl, a complete new baby outfit, an 8 inch super soft bear, a flannel, a sponge and a cd of 25 lullabies to help the new baby (and mother) off to sleep. 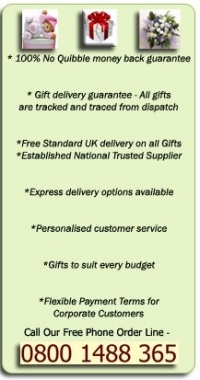 With postage included in the price this really is a fabulous baby shower gift to give.